Roger Pineda has over ten years of teaching experience as a professional and a lifetime of knowledge about the game of golf. Introduced to the game at the age of nine, he rapidly progressed through the junior circuit in California. At the age of 15, he won the State Junior Title. In college, Roger played for the University of the Pacific where he had a successful career. Roger began his professional playing career after playing in the 1998 US Amateur. Roger has played in professional events all over the country against some of the best competition in golf. He has coached hundreds of students on the fundamentals of golf. With his knowledge and experience he has taught his students to play better on the weekends and in competition. Roger enjoys working with golfers of all levels, from beginners to low-handicap competitive players. 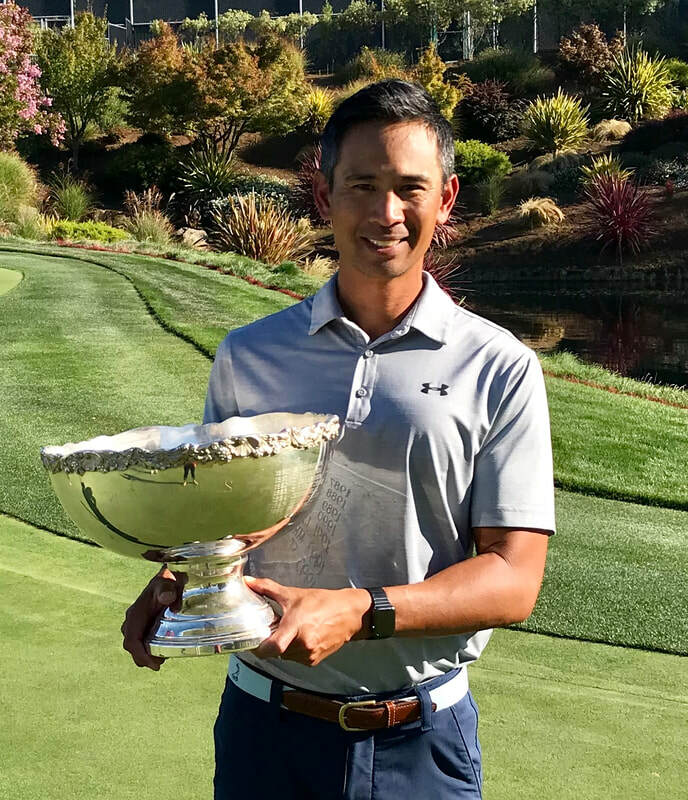 Although he is versed in all facets of the game, Roger specializes in short game instruction and developing young junior players to becoming future champions. Roger utilizes the best technology the golf industry has to offer (TRACKMAN 4, V1 Golf Studio and Blast Golf) to give you guidance and feedback that is comprehensive, accurate and easy to understand. For more information, visit Roger's website at www.rspgolf.com. Long-Term Programs are available at greater discounts. Please contact Roger directly for more info.